Hip Hop has been in Lady Gaga mode lately, and by that I mean on the edge. Artists have been shying away from the norms and adding their own musical twists. As for fans, Hip Hop has become the mystery van for them, because you never know what wave you’ll ride next. And I can almost bet my entire bank account that nobody thought they’d be faithfully jamming to Lil Nas X’s “Old Town Road.” The 20-year-old took the internet by storm when his song went viral from the “Yeehaw Challenge” on the video sharing app TikTok. This isn’t just any ol’ regular Hip Hop song either, it’s the first ever “Country-Trap” record to rich No. 1 on the Billboard Hot 100. That’s right Country-Trap. 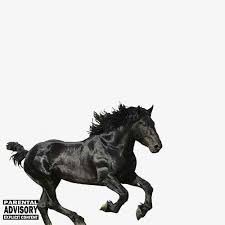 Overall, I rate Lil Nas X’s “Old Town Road” and the remix 10 out of 10 stars. Check it out at https://www.youtube.com/watch?v=sAdBWu1xDU0.